Remember what happened to the Hulk at the end of The Avengers: Age of Ultron? It was initially more complicated than what we ended up seeing on screen, until internet rumors derailed Marvel’s plans. In an interview with The Wrap, Kevin Feige said that what we saw of the Hulk Age of Ultron—flying into the sunset (so to speak) in a stolen quinjet—wasn’t supposed to be the final word on the big green bruiser in the film. Initially, he explained, the Hulk was supposed to be seen flying into space. 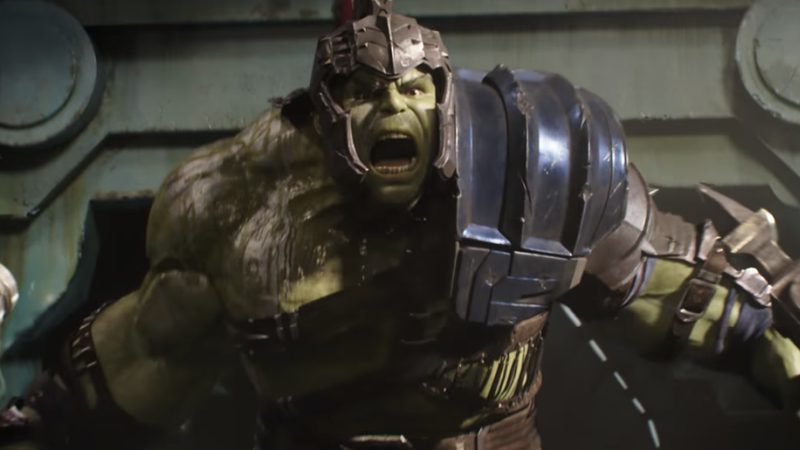 The script, at one point, suggested that the Hulk would be detected near Saturn, but Marvel changed it after The Wrap reported on rumors that Marvel was planning on a Planet Hulk film. Of course, Marvel did end up doing Planet Hulk, after a fashion. The upcoming Thor: Ragnarok is poised to feature some of the narrative elements of that original story, marrying a gladiator Hulk living a happy life on an alien planet with Thor’s story of, well, Ragnarok, creating what looks to be a thrilling buddy cop caper in Kirby-inflected outer space. So what did Feige and Whedon do to make sure they weren’t feeding into the rumor mill? The magic of post-production, everybody!